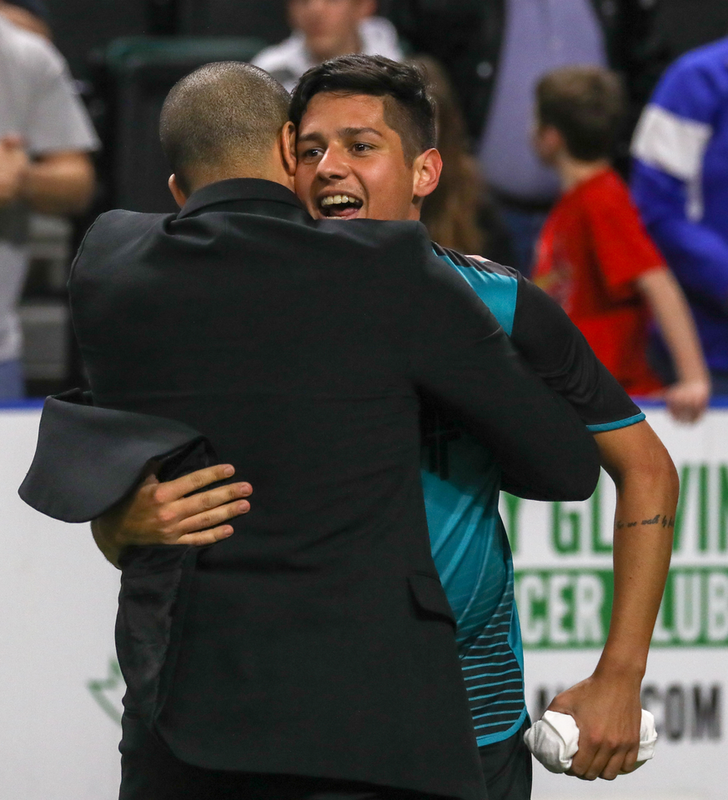 St. Charles, MO (February 27, 2019) – St. Louis Ambush Head Coach Hewerton and midfielder Lucas Almeida have earned spots on the Sporturf MASL Team of the Week for Week Thirteen of the 2018-19 season. 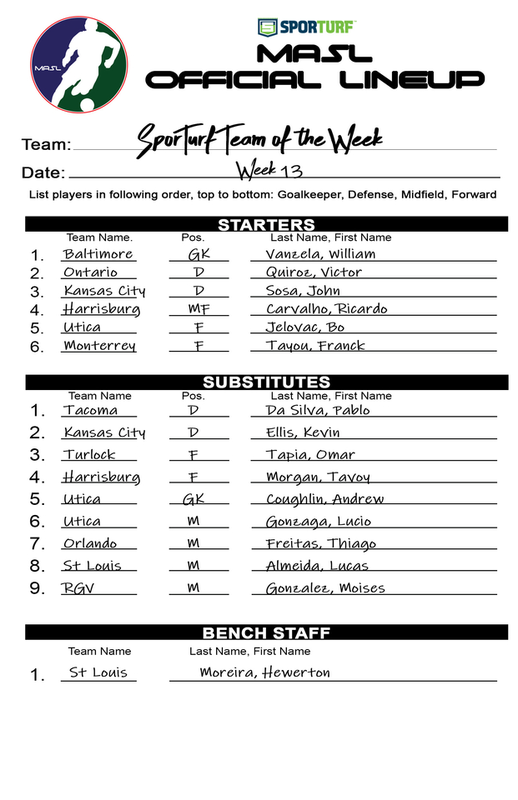 The Team of the Week is arranged like an MASL lineup card with “Starters”, “Substitutes” and “Bench” categories. RIGHT: Ambush Head Coach Hewerton congratulates Lucas Almeida on his game-winning overtime goal Sunday, February 24, 2019 at the Family Arena. Photo by Jerry McGrath. The Ambush played two games during Week Thirteen, losing in overtime to the Orlando SeaWolves on Friday night, then defeating the Florida Tropics on Sunday for their ninth win of the season. Hewerton placed in the “bench” category for his performance as Head Coach. The Ambush’s nine wins thus far this season under Hewerton’s leadership set a new franchise record for wins in a single season for the current Ambush franchise. It also matches their total wins for the previous three seasons combined. Hewerton took the helm of the Ambush prior to the 2017-18 season and rebuilt the squad since doing so. His search for talent included holding traditional tryouts in St. Louis as well as in his native Brazil last summer. Lucas Almeida tallied one assist in Friday’s losing effort, then roared back on Sunday with three more assists and the game-winning goal in overtime. His performance earned him a spot on the “substitutes” category in the weekly awards. The 2018-19 season is Almeida’s fifth in professional indoor soccer and his fourth with the Ambush. He currently ranks third on the team in points (23) and leads the team in assists (16). 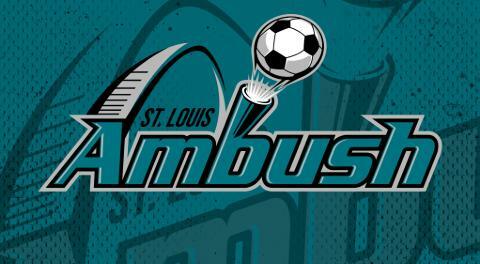 The Ambush are in back in action this weekend when they play back-to-back home games, hosting the Harrisburg Heat Saturday, March 2 at 7:05 p.m. CT, then the Milwaukee Wave Sunday March 3 at 3:05 p.m. CT. On March 2, the Ambush will wear special St. Patrick’s Day green jerseys that will be auctioned off to benefit Junior Achievement, sponsored by CPAs for Hire. On March 3, the popular Annual Mascot Game will be held at halftime, featuring mascots from various St. Louis area sports teams, businesses and organizations. For fans unable to catch any game in person, all MASL games are webcast live at masl.tv. Group and single game tickets are on sale for all Ambush home games. For more information, call the Ambush office at 636-477-6363. Keep up to date on all Ambush news by following the official website, stlambush.com and on Facebook and Twitter. HOME PAGE PHOTOS: Left photo of Hewerton by Brian King. Right photo of Lucas Almeida immediately after scoring the game-winning goal in overtime on Sunday by Scott Neer.